Marital property is any property that was acquired during the marriage. By acquired I mean paid for with marital funds. How something is titled doesn’t determine whether or not it is marital property. 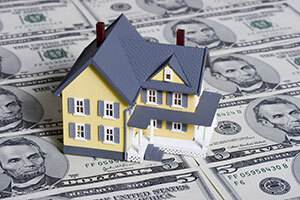 As long as it is paid for during the marriage with marital funds, it is marital property. So, for example if one spouse buys a car that is titled only in his or her name, the car is marital property because it was paid for during the marriage with marital funds. Nonmarital property is property that a spouse owned before the marriage, property that was acquired by gift or inheritance from a third party, property that was excluded by a valid agreement such as a prenuptial agreement and any property that is directly traceable to any nonmarital property. For example if a spouse had a bank account before the marriage and then used money from that account to buy a car during the marriage, the car is nonmarital property because it directly traceable to the nonmarital bank account.